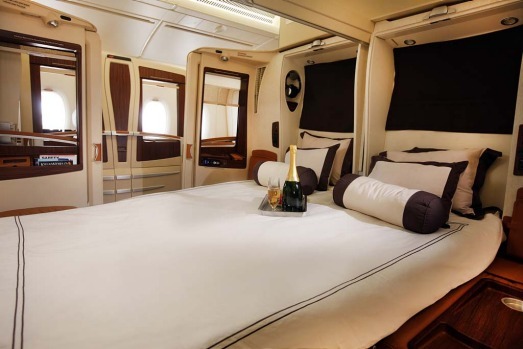 Singapore Airlines, the first carrier to receive the A380 superjumbo, wowed the industry with its first class private suites. 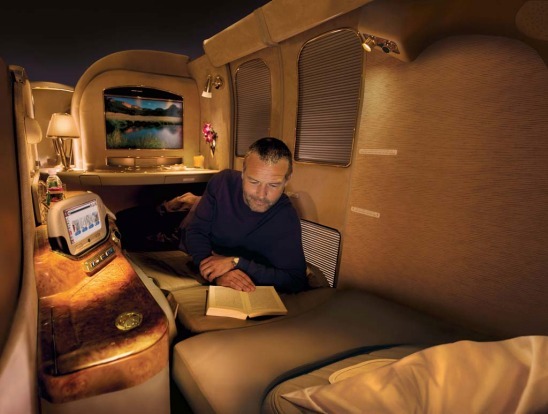 Singapore Airlines' first class suites on the A380 allow couples to turn their seats into a double bed. 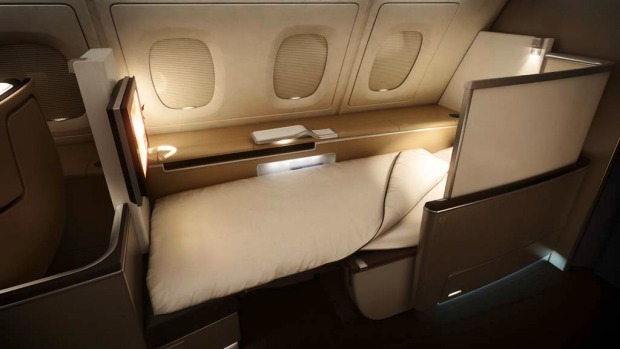 Singapore Airlines new business class seats, unveiled in 2017, allow two business class seats to convert to a double bed for the first time. 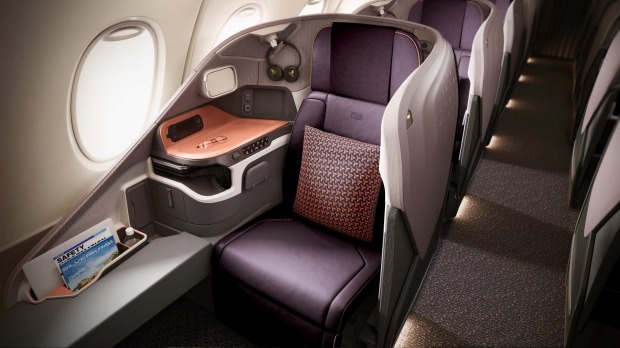 The new Singapore Airlines A380 business class seat. 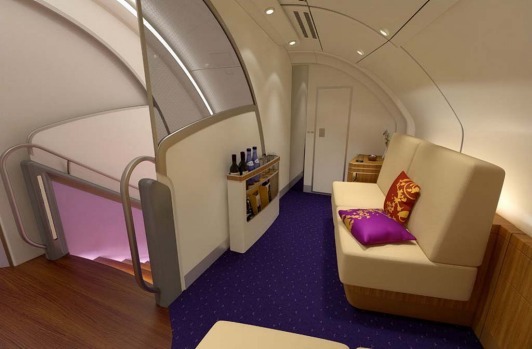 A first class suite on board an Emirates A380. 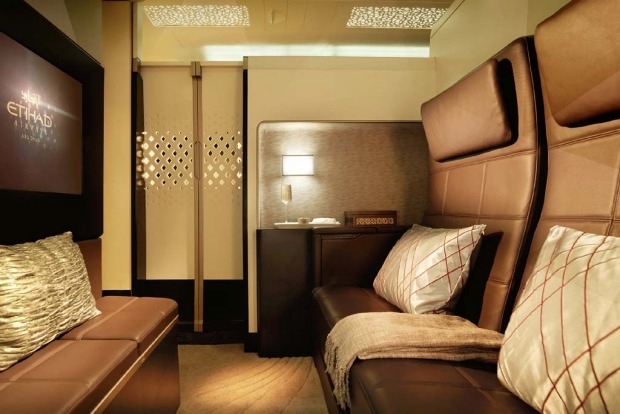 In 2014, Etihad Airways unveiled the most luxurious seat in the sky, 'The Residence'. 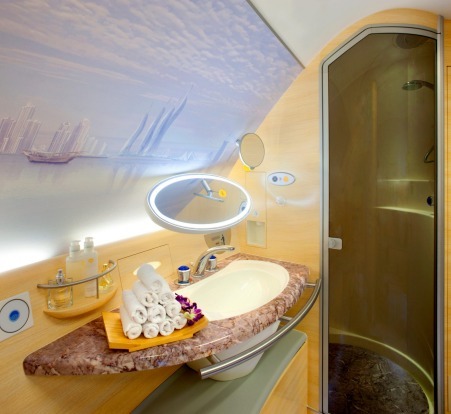 At the front of the airline's A380s, the Residence features three rooms - a lounge, bathroom and bedroom. 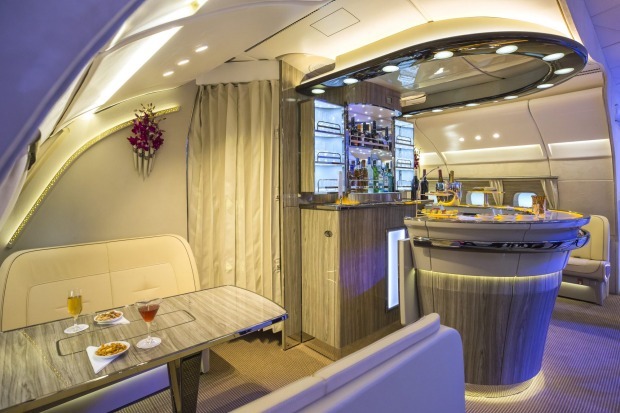 It is aimed at competing with private jets in the luxury stakes. 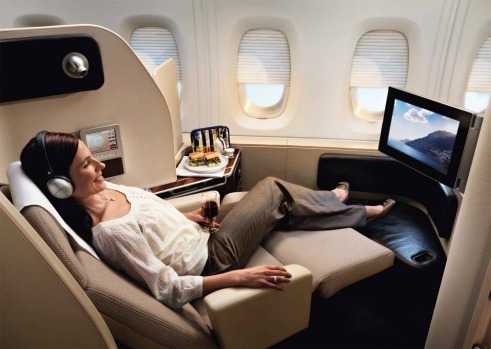 First class in the Qantas A380. 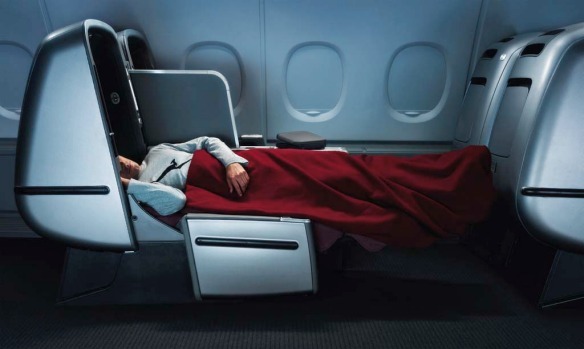 Room to stretch out ... business class on board a Qantas A380. 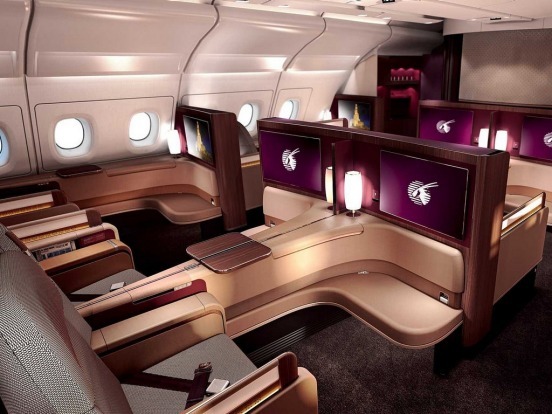 Qatar Airways received its first A380 in 2014. 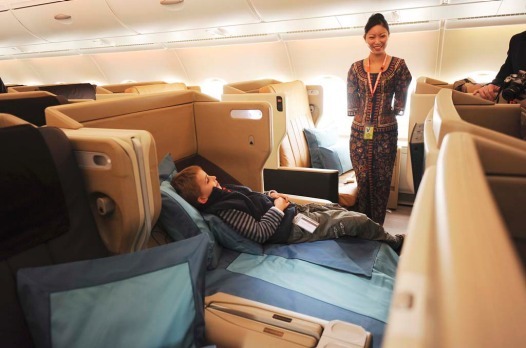 Pictured: First class on the A380. 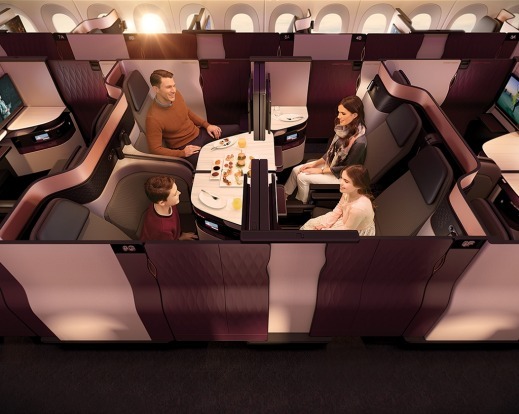 Qatar Airways unveiled its new business class seat, the 'QSuite' in 2017. 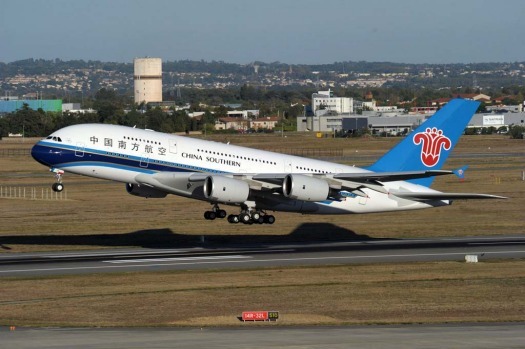 Domestic superjumbo ... China Southern received its first A380 in October last year and began flying the plane on domestic routes between Beijing, Guangzhou and Shanghai. 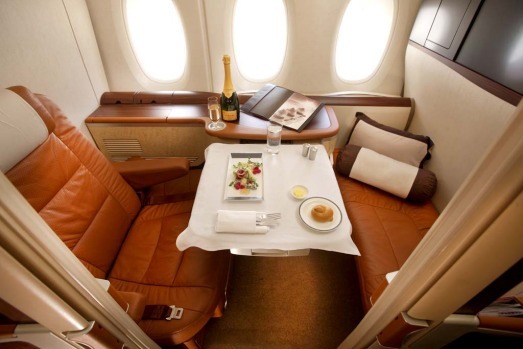 First class on board a Lufthansa A380 superjumbo. Lufthansa's first A380 entered scheduled service on Friday, 11 June 2010 on the Frankfurt-Tokyo route. 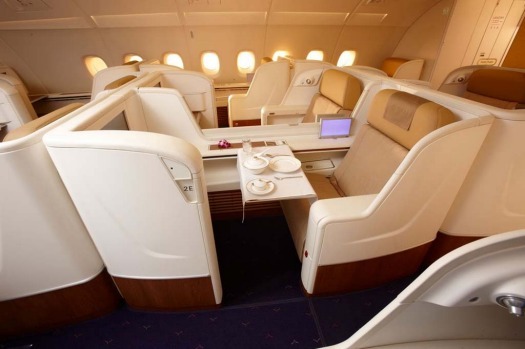 Business class on board a Korean Air A380. 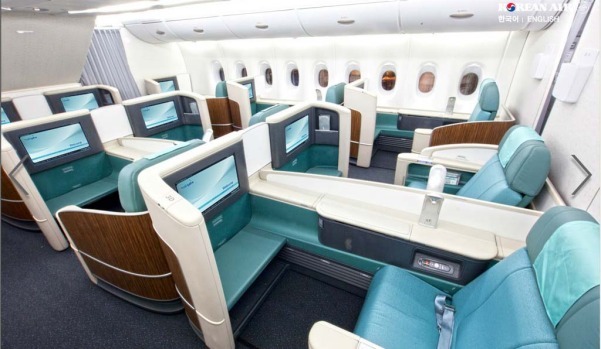 Korean Air has installed the smallest number of seats on its superjumbos, compared with other airlines, with just 407 in total. 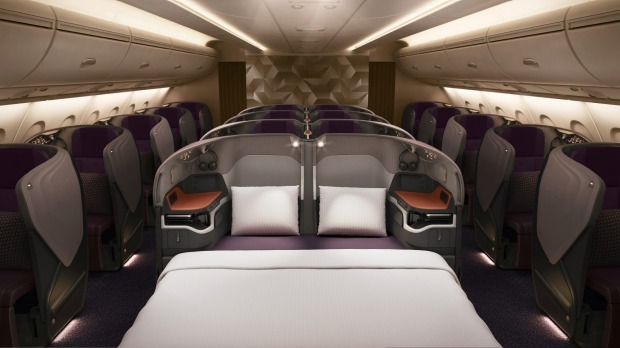 First class on the Thai Airways A380. 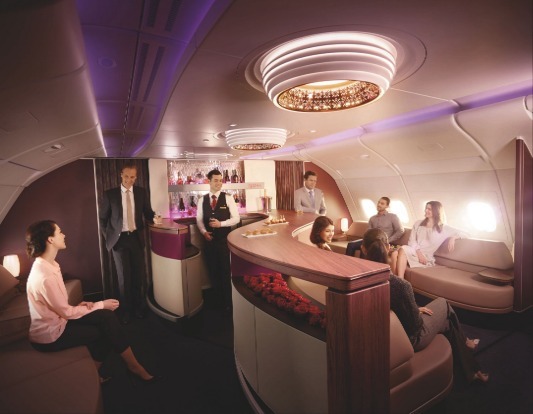 The first class bar and lounge on board the Thai Airways A380. 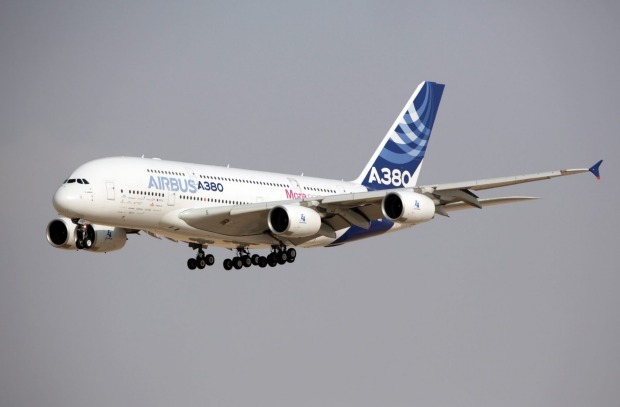 Two of Airbus's flagship A380 superjumbos are headed for the scrap heap after a search for new operators failed to secure firm bids. It's an inglorious end to the pair of double-deckers just a decade after they entered service, a fraction of the time commercial aircraft typically ply the globe. 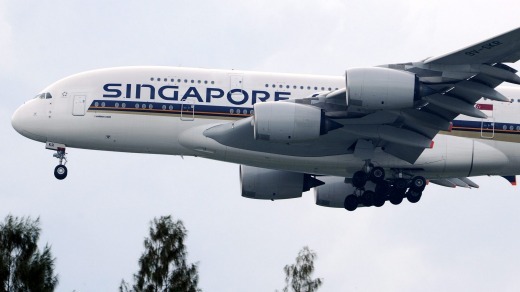 There's no established second-hand market for the A380, making a sale to a new owner harder. 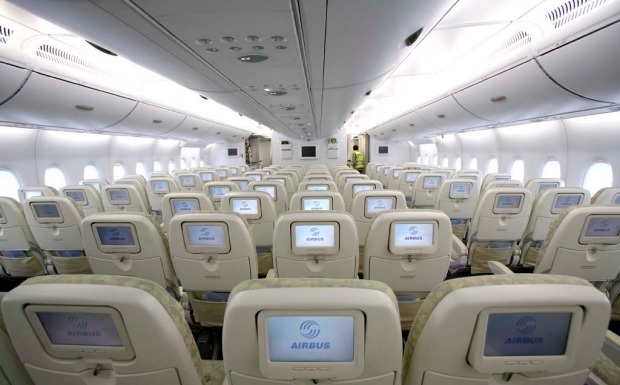 Further complicating any transaction was the perceived lack of commitment from Airbus to the aircraft in recent years, said Anselm Gehling, chief executive officer of Dr. Peters. "Given the size of the investment, some airlines weren't sure about the future plans for the aircraft," Gehling said in an interview. "That's a factor that has complicated negotiations." In the case of British Airways, the airline only wanted to take the used A380s by 2021 because that's when some of its older Boeing 747 are leaving the fleet. That was too far out for Dr. Peters to facilitate a deal, Gehling said. 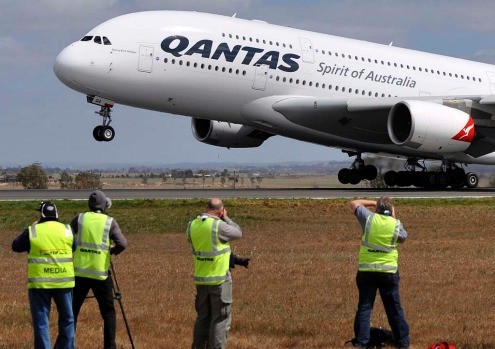 The double-decker jets had an original list price of about $US250 million ($A326 million) at the time of the purchase a decade ago, and the list price today is in excess of $US445 million, making it by far Airbus's most expensive model. The components could generate $US80 million per aircraft in revenue. Fund holders will be asked to approve the move at a meeting on June 28. 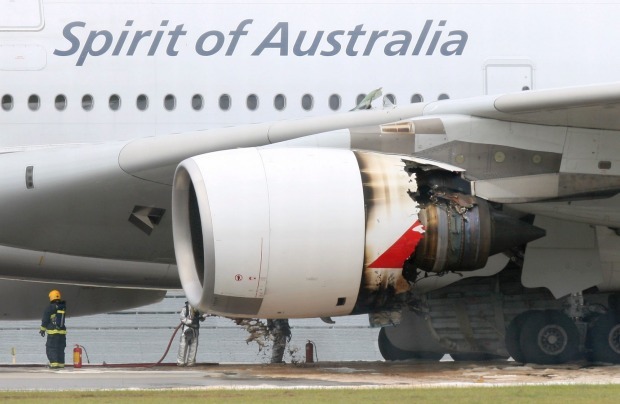 The bulk of proceeds from the break-up will come from aircraft parts and the engines. 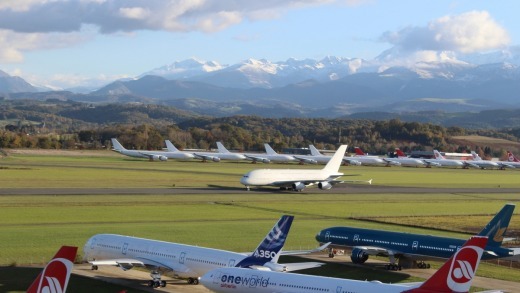 There's generally a scarcity of second-hand components for the A380, making pieces like landing gear, flaps and engines more valuable, Gehling said. Some airlines have already inquired about components, and the company tasked with breaking up the aircraft will sell the pieces through its global network of spare parts, the CEO said. 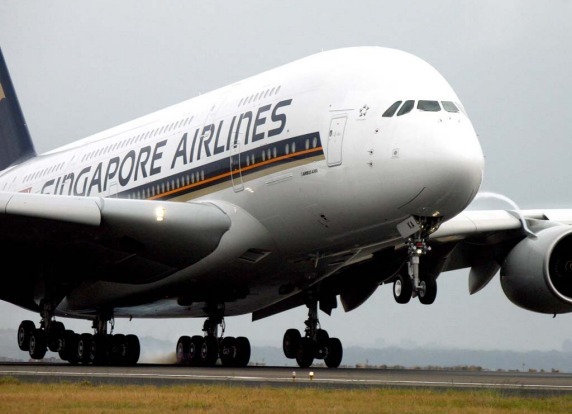 Singapore Airlines returned the A380s after their 10-year leases expired and Dr. Peters has been seeking new operators since mid-2017. Superjumbo sales have weakened as carriers opt for twin-engine wide-bodies that burn less fuel. Were they resold to another operator, the planes might be expected to fly for at least another decade. Airbus declined to comment on the recommendation from Dr. Peters that the first two jets be scrapped, reiterating that it remains "confident in the secondary market for the A380 and the potential to extend the operator base." 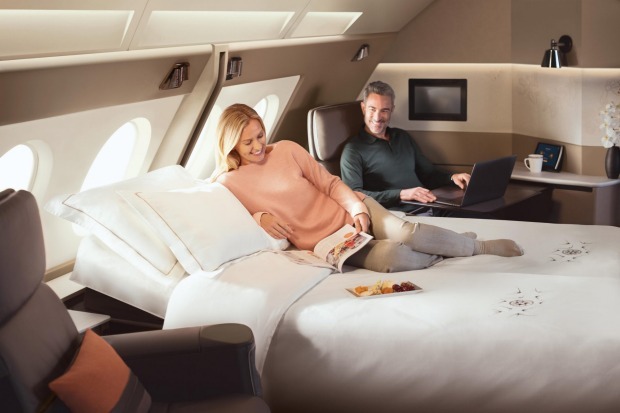 It was reported last week that British Airways parent IAG had suspended negotiations to buy a batch of new A380s, an order that would have given the program an additional shot in the arm. 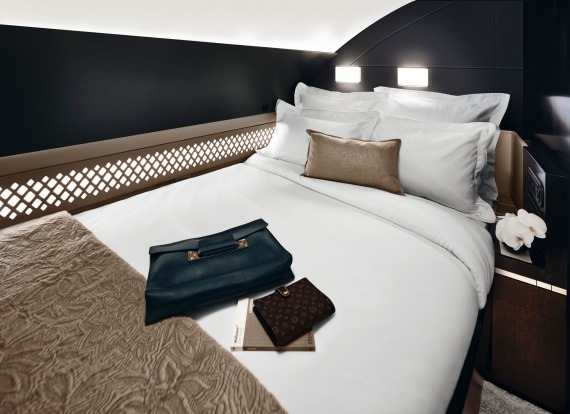 "When the A380 launched a decade ago there was a real hype surrounding the aircraft, and to this day I have yet to meet a passenger who would say it's a bad aircraft," Gehling said. "Maybe things will turn around for the second-hand market in a few years."